In recent years it was determined that BPA (Bisphenol A) residue in plastic food and beverage containers is a potential health hazard. Since 2012, BPA has been banned in baby bottles and sippy cups because it can impede brain and organ development in infants and children. Now, new studies indicate products labeled "BPA-free" could be just as harmful or worse. The controversy regarding the hazard of plastic food containers stems from the discovery that leftover BPA (the starting material for manufacturing plastic) can leach into the contents of those containers. The stress of typical use (microwaves, steam in the dishwasher and even ultra violet rays from the sun) can breakdown the plastic and allow BPA to enter the body. In humans, BPA mimics estrogen and alters normal cell activity leading to a wide range of physical maladies, many of which can be quite serious. "BPA Free" Does Not Mean "Safe"
Tritan copolyester has been marketed as a safer alternative than BPS because it contains no bisphenols. However, a study performed by George Bittner, a professor of neurobiology at the University of Texas found that Tritan is not free of Estrogenic Activity (EA) and suggested one of Tritan's ingredients, triphenyl phosphate, is as harmful as BPA. The company that manufactures Tritan later sued Bittner and disputes the findings of the study. It's important to note that other scientists confirmed Bittner's findings and many wonder if any plastic is really safe for containing food or water. According to Bittner's study, nearly every plastic tested showed leaching of synthetic estrogens. In most cases, leaching occurred even when there was no exposure to microwaves, dishwashers or ultra-violet rays. Plastic is so prolific, it may be impossible to avoid any exposure to leaching activity of synthetic estrogens. There are, however, steps one can take to limit exposure and stay safe as much as possible. Cut back on canned food; most cans are lined with a material containing BPA. Avoiding putting plastic food containers in the dishwasher. Use glass, porcelain or stainless steel containers for hot foods and liquids whenever possible. Only use glass baby bottles and dishes for your baby. Give your baby natural fabric toys instead of plastic ones. If you choose to use plastic containers, avoid those marked on the bottom with the recycling label No. 7, or the letters PC. Currently there are no laws requiring chemicals to be proven safe before they are used in the production of food containers. 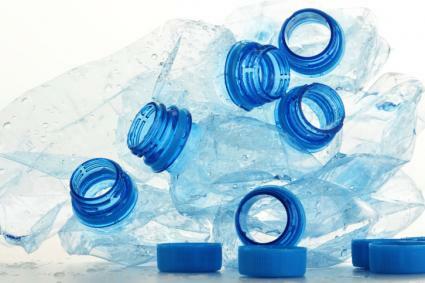 If a manufacturer stops using BPA, they are not required to use a safer chemical in the process. According to Bittner, hundreds of manufacturers contacted his company, CertiChem, inquiring about testing their products for estrogenic chemicals, and few have followed through. Bittner indicates the manufacturing companies have no inclination to alter the chemical make-up of their products until consumers demand non-estrogenic materials. Consumers have the power to create real change by pressuring retailers and manufacturers to test all plastics for estrogenic activity and demand EA-free packaging.